Heathrow Airport is located about 20 miles west of the centre of London. We have put together all the information you could need for travelling here from Heathrow Airport. National Express operate services from London Heathrow Airport to London Victoria, and many destinations around the UK. The buses run from Heathrow Airport Central Bus Station. The bus station is located between Terminals 1,2 and 3, and is well signposted within the Terminals. From Terminals 4 and 5 catch Heathrow Connect to the Central Bus Station. It is worth booking in advance and purchasing your tickets online, to take advantage of the discounts they offer. On average they run 3 coaches per hour to and from London Victoria coach station. The journey takes between 35 and 60 minutes. For more information visit the National Express website. National Express offer a London hotel transfer service to and from Heathrow Airport called Heathrow Hoppa. Offering comfortable seats on clean and modern coaches, they are a great option for getting to London, and to or from your hotel. There is no additional charge for luggage as every passenger is permitted two pieces of medium luggage and a piece of hand luggage. Modern air conditioning keeps the shuttles comfortable making sure you have a pleasant trip. There are Heathrow Hoppa desks in the arrivals area at Terminals 1, 3, 4 and 5. The service runs 24 hours a day, 7 days a week. The tickets for one person cost from just £4 single and £7 return. For less than half the price of a taxi, this is a great form of transport. Visit the Heathrow Hoppa page for more information! Most buses around London are low floor, meaning that they lower to pavement level, making it easier to board the bus. You can use Oyster cards on bus routes. 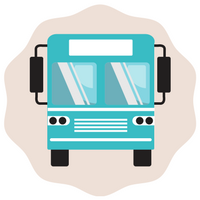 For more information on what buses to get and timetables for the buses, visit Transport for London. Heathrow Express runs four trains an hour, non stop between the airport and Paddington station. This journey takes 15 – 20 minutes and oyster cards and travelcards are not valid on this service. For more information call 0345 600 1515. TfL also operate a service between Terminals 2, 3 & 4 to London Padington, with journies taking between 31 & 49 minutes. 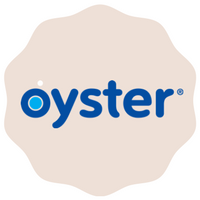 You can use the service with a valid Oyster Pass, contactless card or a Zone 6 travel card. Please note: The Heathrow Express tickets are not valid on these services. If you need further information, please call 0343 222 1234. The Piccadilly Line connects all Heathrow terminals with frequent services to London. 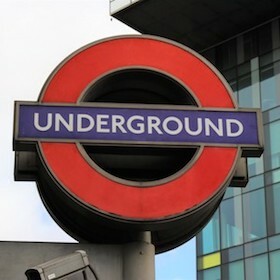 There are three stations at Heathrow on Piccadilly Line, one for Terminals 1, 2 & 3 located between the terminals, one for Terminal 4 and the newly opened Terminal 5, both situated in the basements of the terminal buildings. The journey to central London takes about 50 minutes and services run between 05:00 and 23:40. You are able to use your oyster card for the underground or you can buy an all day travelcard for unlimited travel on the tube all day. 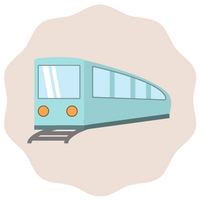 Buying a travelcard is suitable for commuters who are planning on using the tube and the train as the tickets can be bought together. For more information on fares and what route to take call 0343 222 1234. The journey time to central London is approximately 45-60 minutes and can cost between £45 and £70 or more. 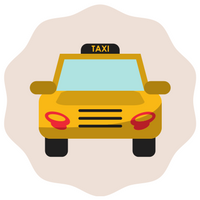 Getting a taxi can take the hassle out of your journey. 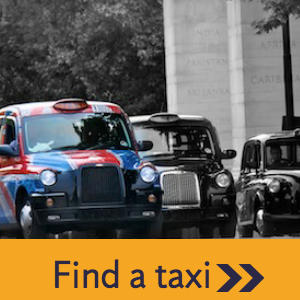 Choose a taxi to suit you and your passengers. From executive travel to minibus, and coach taxis – you can just sit back and relax, knowing you will be at your destination soon. However, you could get a better price by booking your transfer from the airport to London in advance. Find a taxi company on our Heathrow Airport Taxis and Transfers page. Alternatively, follow the signs from each terminal for taxi ranks. Getting an oyster card is generally the cheapest way to get around using public transport in London. You can get a pay as you go oyster card, meaning you don’t have to worry about having the right change. You simply touch in before boarding the tube or bus, and touch out at the end of your journey. For more information on where you can use your oyster card, visit TFL. 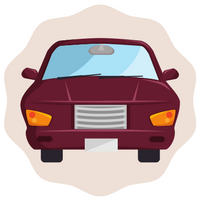 If you are planning to park your car at the airport whilst you are away then you may find cheaper quotes if you book online or by phone in advance. Take a look at our airport parking page to see prices, and compare car parks to find the cheapest deal. Planning your journey once you arrive at Heathrow? Looking for car hire? Look no further, we have compared all the car rental companies operating from Heathrow. We also have their details if you wish to contact them directly. 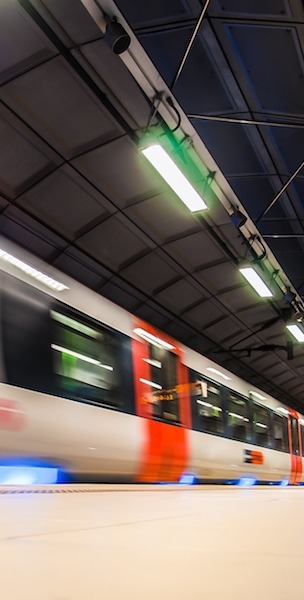 It takes approximately 45-60 minutes to get to central London from Heathrow. When leaving terminals 1, 2 and 3, follow exit signs to the access/exit tunnel. Follow signs to the M4 motorway, which will eventually bring you into London. Terminal 4 is on the main A30 road while Terminal 5 is close to A3044. The M4 and M25 orbital are signposted. Again, follow signs to the M4 which will eventually bring you into London. Driving in and around Central London means that you have to pay the Congestion Charge. You may be eligible to pay the congestion charge if you are travelling in central London between the hours of 7am and 6pm Mon – Fri. The charge is £11.50 daily, and you will be notified by signs when you are approaching CC zones, are within them, and when exiting them. You can pay the congestion charge in a number of ways. By SMS, phone, online, at a shop and by post. For more information on how to pay the congestion charge, and where the congestion charge applies visit the Transport for London. How does the congestion charge work? There are no physical toll booths or barriers, it is a network of cameras that monitor the entrances and exits of the congestion charge zones. If the camera recognises that you have paid to be in the zone then your image is automatically deleted from the database. If at midnight your image still exists and you should have paid the charge then a pentaly charge notice is produced and sent to the vehicle owner. Bicycles are permitted on the London Underground, however, some lines only allow non-folding bikes outside of peak times. Folding bicycles are permitted on the underground at all times, free of charge. You are not allowed to take non-folding bikes on moving escalators, at any time. London buses may allow folding bicycles, however, it is up to the driver. The same applies to pushchairs and large shopping luggage. The Docklands Light Railway (DLR) accepts folded bicycles if they are in a container. There is bike parking available at most stations around London. To find out if a particular station has bike parking and for more information on cycling around London take a look at the Transport for London website. 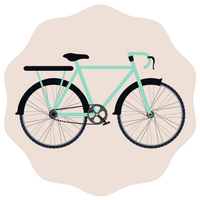 If you are travelling from London to Heathrow by bike, check out our section on cycle parking at Heathrow.